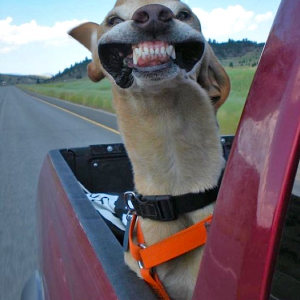 Heading out on the road with your dog soon? Read this guide first to make sure the car ride is an enjoyable, safe experience. Planning on taking your dog on the road with you? 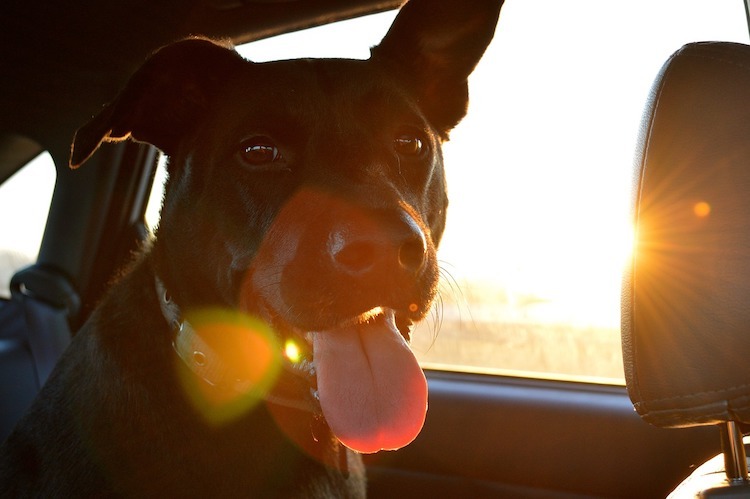 If so, you may be wondering how to travel with a dog in car — safely and smoothly. Before you start your trip, read the tips below. What about letting a dog ride in the back of a pickup truck? Prevent a tragedy — vow right now to make sure your dog is properly restrained whenever you take them with you in the car. The expense and slight inconvenience of using the appropriate vehicle safety items is well worth the risk. Plus, restraining the dog also keeps them from moving around the car and distracting you while you’re driving. First, get a harness for your dog. If you restrain your dog using only a collar, your pet may get strangled if you get into a wreck, especially if you rear-end someone. A harness may protect the dog’s neck and spine. We prefer fabric harnesses that wrap around the dog’s neck and torso. Many also have a loop on the top through which you can thread the seat belt. 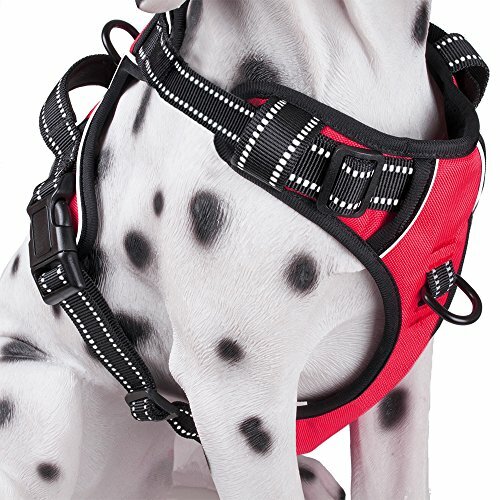 The PoyPet No-Pull Dog Harness has a reflective vest, a leash connection on both the front and back, and (last we checked) was less than $20. Worth every penny. 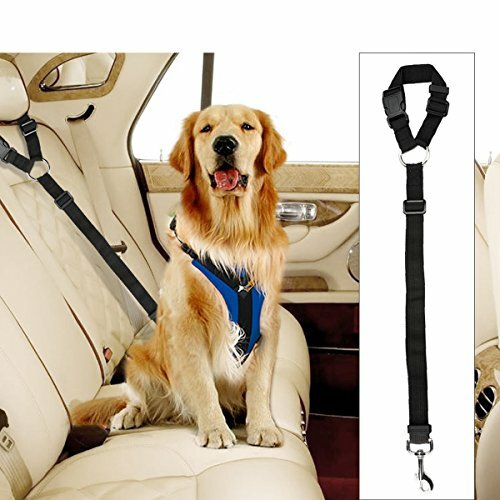 Dog seat belts attach to harnesses, keeping your dog immobilized in the back seat. Either kind will work. Choose the one that works best for your car. This strap from Docamur is adjustable and easy to use. Remember: Don’t attach the seat belt to your dog’s collar — attach it to the dog’s harness instead, to avoid strangulation. 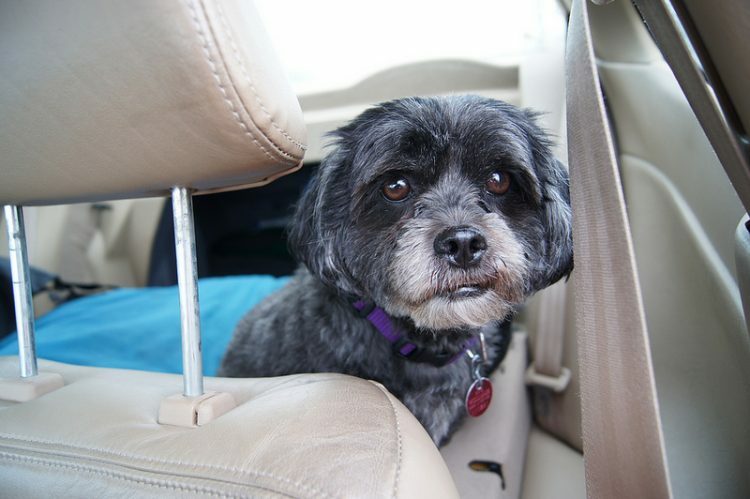 A small dog who loves to look out the car window will enjoy having a booster seat. Designed to fit in your back seat, booster seats are secured with your automobile’s seat belt, around which you clip a dog seat belt that you attach to the harness. 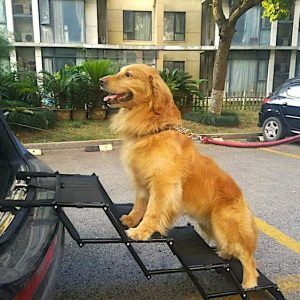 These specialized seats not only provide a safe place for travel but they also act as a comfortable dog bed. Most are made out of sturdy foam core topped with fabric and fleece. Add a blanket, and you’re good to go. Booster seats provide maximum comfort and a view for your pup. They last a long time. 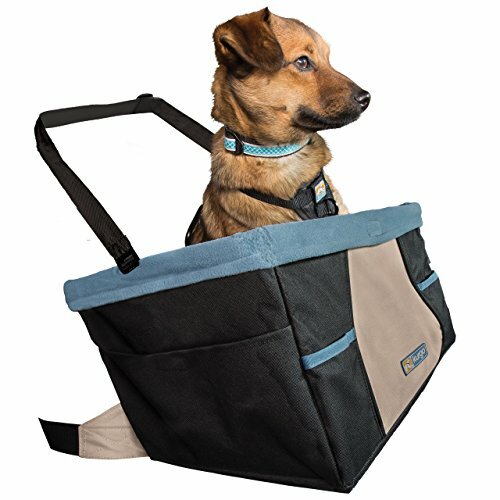 Here’s a highly rated car booster seat for small dogs that is sold by a company called Kurgo. The safest way to transport your dog? In the back seat, confined to a hard-sided dog carrier (also called a travel kennel or crate) that you’ve secured with a seat belt. In the event of a car accident, your dog should be well protected in a carrier. 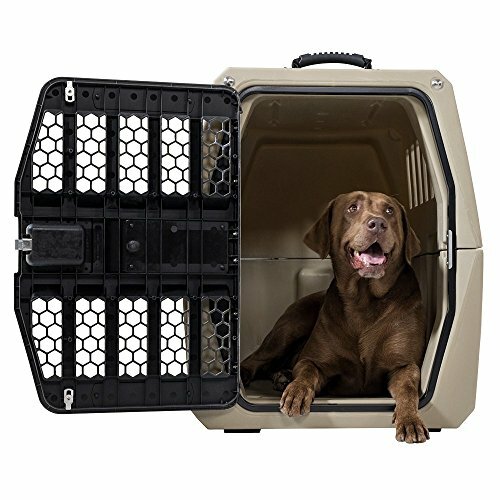 The G1 Intermediate dog crate sold by Gunner Kennels is billed as being heavy-duty, crash-tested and escape-proof. Unfortunately, it isn’t cheap either — nearly $500 the last time we checked. But according to the Center for Pet Safety (CPS), this exact crate was “far and away the most impressive crate” that this safety organization tested. It “was able to withstand the most significant forces generated in testing,” the CPS reported. Make sure that whatever carrier or crate you get is large enough for your dog to stand, sit, lie down and turn around in. Avoid putting too many items in the carrier that take up space or could cause injury to your dog. Pets aren’t children, but with respect to car travel, you should treat dogs as you would young kids. 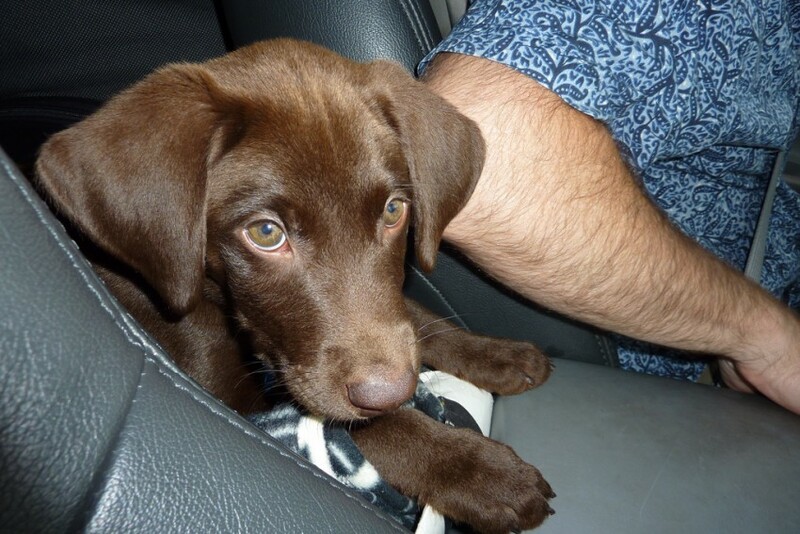 Your dog should always sit in the back seat, secured with a safety restraint. Don’t let them ride in the front seat. Yes, small dogs are cute and may fit in your lap perfectly, but you should not drive this way or allow your small dog to lie on a dashboard or other areas in the vehicle. This causes a distraction for you and increases your dog’s chances of being injured. Place some of your dog’s favorite things inside to spark curiosity. Make sure that the carrier has enough ventilation to allow air to pass through freely, either through gated areas or holes. If your dog makes a mess inside the carrier during the trip, carry the carrier to a confined area such as a bathroom before letting your dog out. This lets you clean the carrier without the risk of your dog running away. This is an important topic for any pet when it comes to car travel. Be aware of what the temperature will be at your destination and along the way, and never leave your dog in the car. It takes only a few minutes for the temperature to rise to dangerous levels inside a vehicle, even in mild temperatures such as 75 degrees Fahrenheit. Lowering the car windows is not an effective way to ventilate the car — and may even allow your dog to escape. The same can be said for the cold: Dogs can get hypothermia or die from dangerously low temperatures. Keep extra blankets with you, and again — don’t leave your dog in the car. If your trip includes staying overnight, check with the place you will be staying to learn about the pet policies, costs and other concerns. If you plan to find a place to sleep as you go, make a list of dog-friendly places along the way so you know which ones to head to first. A vet visit is a good idea before a trip, especially for longer trips. Do not self-medicate your dog or give your medications created for humans or other animals — these could be deadly. Consider getting your dog microchipped before the trip. Traveling across states, you may be asked to produce your dog’s rabies vaccination information. Take a copy of your dog’s records, as well as a current photograph in case your dog gets lost. Keep a copy of the paperwork and a picture of your pet in 3 places: your car, taped to the carrier and with you at all times. Add your contact information so someone finding your dog can contact you. Make sure your dog has a current tag on their collar — and bring an extra one in case it needs to be replaced while you are on the road. Limit your dog’s food intake before traveling to reduce the possibility of sickness or nausea. Take extra pet food and snacks with you for stops or for when you reach your destination. Stores may not have your dog’s usual brand of food, and changing food during a stressful situation such as travel might be a combination that causes stomach upset, diarrhea or other unpleasantness for your dog. Finally, take bottled water — and lots of it — with you on your trip. Try to plan stops every 3–4 hours to ensure your dog has ample opportunities to stretch, potty, drink water and get a break from the car. Don’t forget to bring along poop bags and/or a scooper to clean up after your dog. Keep your dog leashed on walks. If you are traveling with children, talk to them about allowing the dog to enjoy personal space without distraction. Any of these behaviors can add stress to your dog, and the goal is to keep your dog as comfortable and happy as possible while the dog is traveling in the car. Did you know 1 in 6 dogs suffers from motion sickness? If you have a motion-sick dog, then you have our sympathy. Knowing your dog will arrive shivering and salivating (at best!) takes the fun out of a car trip. 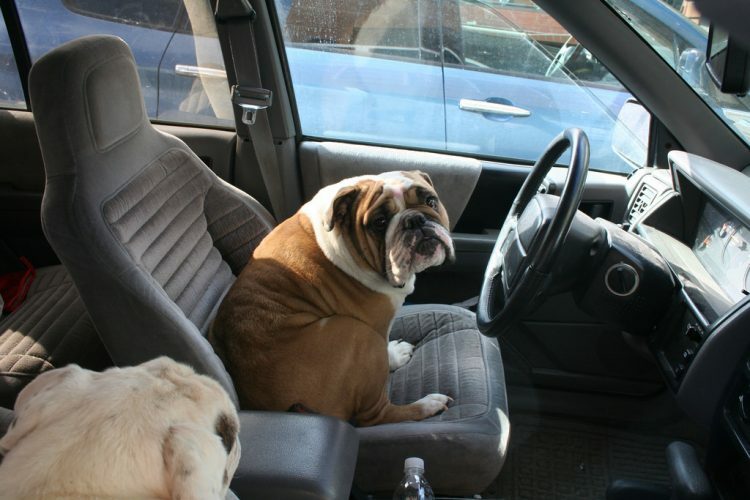 Some dogs even learn to anticipate the feelings of nausea, and this makes them reluctant to even get in a car. If you avoid car travel with your dog or always travel with a full cleanup kit, help is at hand. But don’t expect a quick fix — the answer takes time and dedication. Some dogs only have to see a car to start drooling because they link road travel to feeling sick. This makes them unwilling to get into the car, which means you end up forcing the dog in — which only adds to the dog’s anxiety and feelings of unease. Put an end to this vicious circle by teaching your dog to associate the car with good things. Play with your dog’s favorite toy in the back seat of your parked car. End each session on a high by giving them a treat. Hop out to go for a walk before they get anxious. Reward them for being calm while inside the car with another tasty food treat, and praise their bold behavior. 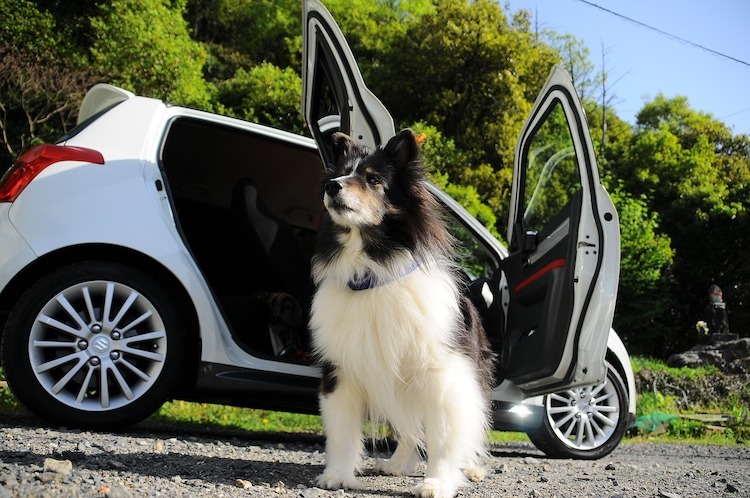 Another option includes spending at least a couple of weeks engaging the dog in a game inside the car but with the doors open so your pet doesn’t feel trapped. Also try other strategies, such as feeding meals inside the car (perhaps invest in a waterproof seat cover) so your dog sees the car as an extension of the home. Once the dog is willingly jumping into the vehicle, you’re ready to progress. Take things slow, though — move on to the next stage only when your dog’s tail is in the air rather than between their legs. Introduce one new change at a time, giving them plenty of time to accept each step. Stop before they become distressed. There’s nothing worse than a hot, stuffy car for making me feel sick when traveling, and the same is true for dogs. Make sure the vehicle is cool with fresh air circulating. It also helps some dogs if they can see out of a window — for smaller dogs, consider a booster seat or dog pod. Most dogs travel best with a handful of dry biscuits in their stomach, given 1–2 hours beforehand, rather than traveling with a totally empty stomach. Stop frequently to let your dog stretch his legs and drink water. If you have an urgent journey to make, you may not have the time to desensitize your dog to car travel. Medication may be your best way forward. At least then the dog will be spared the nausea associated with car travel. Some people swear by traditional remedies, such as ginger or peppermint. There are also herbal options, such as skullcap and valerian, or quick fixes such as Rescue Remedy. That said, these are not scientifically proven to be effective, and it’s best not to rely on them, especially for a long trip. Acepromazine (ACP): This is a sedative with an anti-motion sickness action. ACP isn’t suitable for short journeys, as the dog is groggy for around 8 hours. Also, some dogs have an adverse reaction where they become “hyper” rather than sedated, so test it out before committing to a long journey. Maropitant (Cerenia): This drug acts on the nausea center in the brain and turns it off. This makes it the ideal motion sickness tablet — it works for 24 hours without sedating the dog. The only drawback is the price. In short, reintroduce the car as a fun place to be, and use medication to stop your dog from feeling sick. By preventing nausea and building new associations, you’ll find that along this path lies the promise of stress-free car travel with your dog. Part 4: Why Are Dogs Still Riding in the Back of Trucks? You’re driving down the road, windows open, hair blowing in the wind and music blaring. It’s a gorgeous, sunny day that’s absolutely perfect for a road trip. Until you spot something that puts a knot in your stomach — someone’s dog is freely riding in the bed of their pickup truck. Not only that, but also you see the driver look down to switch the radio station, only to swerve away from the curb after looking back up. The dog, of course, bumps hard into the side of the truck bed, almost losing balance. The sight makes you cringe. What do you do? There must be a law against something like this, right? The straight answer is yes, there are laws against driving with dogs in the back of pickup trucks. Unfortunately, those laws are sparse and certainly not all-encompassing. Even in those states, there are exceptions to the law. 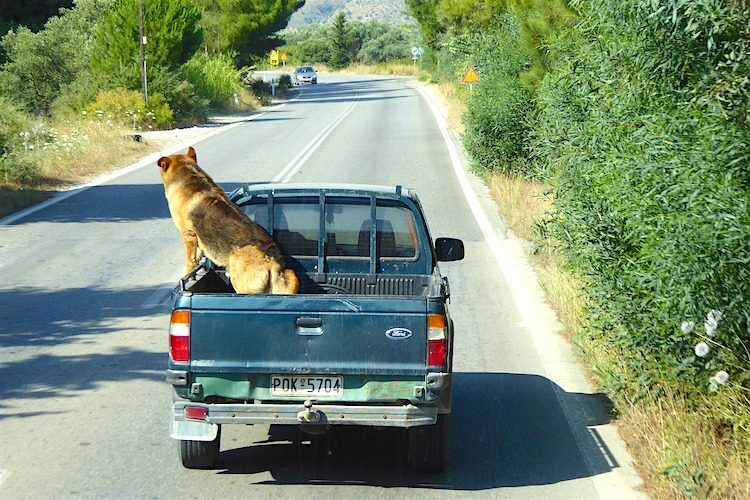 How Dangerous Is it to Let a Dog Ride in the Back of a Truck? 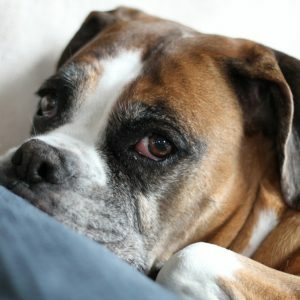 DMV.org reports that thousands of dogs are killed each year riding in the back of pickup trucks. That number doesn’t even account for all the injuries that don’t lead to deaths. You know how gravel and dirt sometimes spray onto your windshield, resulting in tiny cracks in the glass? A dog riding in a truck bed is susceptible to that same gravel and dirt spray. If it’s forceful enough to crack a windshield, there’s no doubt it can harm a dog’s eyes, nose or even lungs if it’s breathed in. Of course, there are also more obvious consequences, like a dog being thrown from the truck (or being slammed against the back of the cab) if the driver slams on the brakes or swerves. Drivers of pickup trucks should always ride with their dogs in the cab and strap them to the seat with a dog-friendly car restraint. Yes, there are ways to secure crates to a truck bed, but even then, gravel and dirt could potentially damage a dog’s ears, eyes and throat. And yes, there are ways to cross-tether a dog in a truck bed to prevent them from falling or jumping, but the same dangers remain. The only real solution when taking your dog for a ride, no matter what kind of vehicle, is to safely secure them with a dog car seat or harness (in the back seat). Sure, taking that extra step might delay the trip by a few minutes. But isn’t potentially saving lives worth it? Center for Pet Safety. “Gunner Kennel G1 Intermediate.” June 2015. https://www.centerforpetsafety.org/cps-certified/gunner-kennel-g1-intermediate/. Becker, Marty, DVM et al. 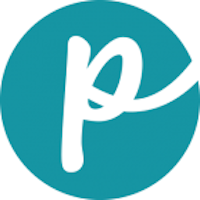 From Fearful to Fear Free: A Positive Program to Free Your Dog From Anxiety, Fears and Phobias. Fear Free, LLC. 2018. Horwitz, Debra, DVM, DACVB, and Gary Landsberg, DVM, DACVB, DECAWBM. “Air and Car Travel.” VCA Hospitals. 2013. https://vcahospitals.com/know-your-pet/dog-behavior-and-training-traveling-air-and-car-travel. DMV.org. “Traveling With Your Pet.” https://www.dmv.org/how-to-guides/pet-travelling.php. This article was written by veterinarian Dr. Pippa Elliott, BVMS, MRCVS, as well as Petful editor Kristine Lacoste. Tamar Love Grande, Allison Gray and Kristen Youngs also contributed. This article was reviewed by Dr. Elliott and was last updated Feb. 8, 2019.